Thank you for your interest in helping to keep our student population healthy and ready to learn! It takes a consistent team approach to care for these kids, help them feel their best, encourage them to attend class regularly, and succeed in school. Please complete HPS Student Health and Emergency Information Form. This form is needed each academic year to ensure that we have the most up-to-date medical history, contact information, and over-the-counter medication administration permissions. A copy of the most recent Physical – A yearly physical is required for organized sports throughout the school system and is needed to keep your child’s medical records up to date. We accept new physicals throughout the school year. If your child has been hospitalized, had surgery, sustained a serious injury, or is seen in the emergency room over the summer and during the school year, please let us know so we can assist you in ongoing monitoring of your child’s health condition. If there are any changes in your child’s medications anytime during the school year please let us know. We can assist you in monitoring for side effects. If your child has Asthma, Life Threatening Allergies, Diabetes, or Seizures we require medication be available in school so it can be administered if their medical condition warrants. If your child has had a head injury or history of concussion, we require medical clearance prior to return to physical education class and extracurricular athletics. Download DPH Medical Clearance Form. In accordance with Massachusetts State Law, all students entering the 7th grade are required to have 1 TDAP Booster within the last five years, 2 doses of MMR vaccine, and 2 doses of VARICELLA vaccine or doctor documentation that the student has a history of the Chicken Pox Disease. Please send in an updated annual physical form with immunization record attached within the first few weeks of the academic school year. PLEASE NOTE: ANY STUDENT IN GRADE 7 WHO HAS NOT PROVIDED PROOF OF IMMUNIZATION TO THE SCHOOL HEALTH OFFICE BY THE END OF SEPTEMBER OF AN ACADEMIC SCHOOL YEAR MAY BE SUBJECT TO EXCLUSION. The Massachusetts Department of Public Health sets forth guidelines and requirements for screenings in all Massachusetts public schools. All screenings are performed by appropriately trained health staff at various times during the academic year. If a student does not pass a screening, a letter is sent home to inform the guardians and refer for appropriate follow-up screening and/or treatment. Parents and students may opt out of any screening by sending a request in writing to the school health office. This request is not binding for subsequent school years. OPTING OUT MUST BE REQUESTED IN WRITING EACH ACADEMIC SCHOOL YEAR. It is recommended this be done at the very beginning of the school year or when updated physical and immunization records are sent in. For more information on School Mandated Screenings, please refer to the Massachusetts Department of Public Health School Health Screenings website. There are specific guidelines for screening children for vision and hearing grades K-12 as set forth by the Commonwealth of Massachusetts. The screener for Haverhill Public Schools is free to decide, within certain parameters, the grades that are screened at each school. Currently, we only screen grades 5 and 7 at JGWhittier. However, if a specific child in another grade is struggling and a teacher places a request for screening in school, that request is honored so the child may be referred and cared for as deemed necessary by the student’s health care provider. Adolescent Screening, Brief Intervention, and Referral to Treatment (SBIRT) focuses on prevention, early detection, risk assessment, brief counseling and referral intervention that can be utilized in the school setting. Use of a validated screening tool will enable school nurses and counselors to detect risk for substance use-related problems and to address them at an early stage in adolescents. For more information see SBIRT in schools: mabirt.org. Data gathered from the BMI screenings performed by school nurses and other school staff is a core part of understanding – and reversing – the rising trend in childhood overweight and obesity in Massachusetts. In addition to giving schools and communities a clearer picture of their students’ health status, the data has already helped MDPH focus its obesity prevention efforts and target its resources on areas of highest need. This will remain an integral goal of the regulations requiring BMI screenings in schools. The Massachusetts Department of Public Health has promoted postural screening in schools since 1971. A change in the regulations in April, 1980 requires all school systems in the Commonwealth of Massachusetts to begin providing postural screening in grades 5 – 9. These grades cover the years in which adolescents experience most rapid growth, and in which signs of curvature most often appear. Severe curvatures, left untreated, can cause physical deformity, arthritic symptoms, heart and lung disorders, and other medical problems. If the condition becomes severe, the only treatment is spinal surgery. In recent years spinal screening programs have provided the opportunity for early detection, regular monitoring, and reduction in the need for surgical remedies. Please review our district health policies as to when to keep your child home from school. In an effort to minimize the spread of contagious illness, the Haverhill School Health Services has developed the following guidelines for determining whether your child needs to be sent home or stay home from school. Students should not miss school unnecessarily, but other students and staff must also be protected from contagious illness whenever possible. Students must stay home until symptoms have been resolved for 24 hours. If your child was dismissed from school with these symptoms, he or she cannot return the next day (fewer than 24 hours after symptoms occurred). Remember that your child needs to be fever free without the use of medication that reduces fever, such as Ibuprofen or Tylenol, for 24 hours prior to returning to school. He or she must be seen by a doctor and cleared with permission to return to school. Please provide the school health office with this documentation. If your child was prescribed antibiotics for a contagious condition, he or she has to take the medication for a minimum of 24 hours before returning to school. Live head lice – must be treated at home and then re-checked by school nurse, preferably with nurse present, prior to returning to classes. See treatment guidelines: Head-Lice-Brochure, Head-Lice-Brochure-Spanish. Any further questions, concerns, or other accomodations with regards to when your child is ready to return to school, please speak to your school health nurse. Absences lasting 5 or more consecutive days due to illness, surgical procedure, or hospitalization REQUIRE a doctor’s note for clearance of re-entry into school. Mental health emergencies or hospitalization requires a mental health professional’s note and a re-entry meeting with school staff prior to returning to school. Students are not permitted to carry medications to/from school. Parents are to bring medications into the health office at the beginning of the school year and pick up medications at the end of the school year. All medications are required to have an active doctor’s order and parent permission form in order for the school nurse to be able to administer the medication. Each academic year requires an appropriately dated prescription. For your convenience, we recommend that you ask your care provider to write the order for the start of the school year. Otherwise, it is likely that you will need to have a new script written again within that same academic year. HPS Medication Letter, HPS Medication Letter SPANISH. Here are the forms that are required for in-school administration of medication. HPS Licensed Provider Medication Order – you may use this form OR your provider can FAX 978-372-5999 the order directly to us at the JGWhittier Health Office, care of school nurse. Wash your hands thoroughly with soap and water or use hand sanitizer to disinfect. Cough or sneeze into a tissue or your sleeve. Keep shared surfaces, such as handles, computers, and phones clean. Keep your child home when he or she is sick. Get a full night sleep. Children in middle school need a minimum of 8 hours, but 10 hours is even better! Reminder to make sure your child dresses appropriately for the weather. If weather permits, we do go out for recess. 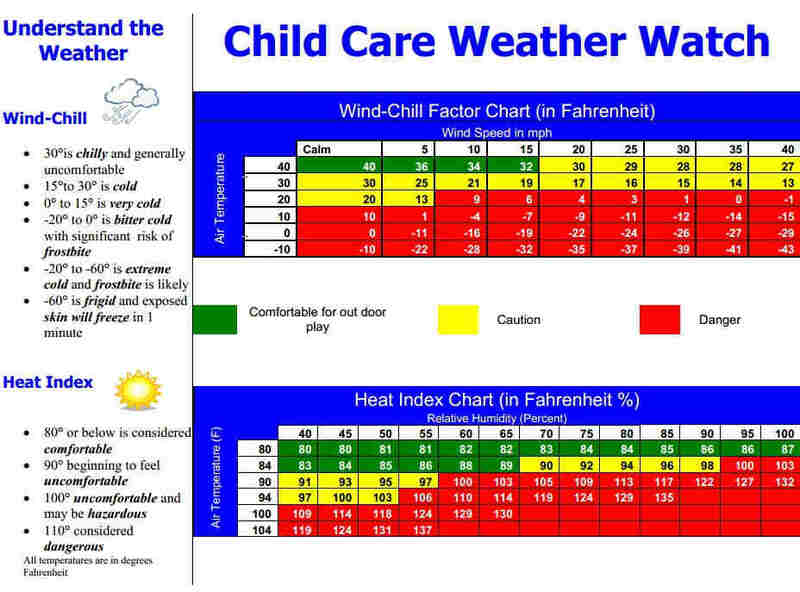 Children should have warm coats, hats and mittens. A therapeutic resource for Haverhill Public School Students in grades 6-12, who are impacted by substance use. These services are confidential and voluntary. *Students who are found in possession, or believed to be under the influence of drugs/alcohol, will be required to meet for counseling upon re-entry from suspension. School Health Services is comprised of both regional and central office professional staff who collaborate with other Department of Public Health programs and the Massachusetts Department of Education to provide ongoing school health service systems development and technical assistance to the Commonwealth’s 351 public school districts and approximately 600 nonpublic schools. Families with children under the age of 5 may be eligible for the WIC Nutritional Program. Please click here to download the WIC informational handout or check the Massachusetts WIC website for more information. Please contact the nursing staff at 978-374-5782 for questions. A team member is always available during school hours. If you notice any problems with the nursing pages website, please contact us so we can fix the error. Also, if you have any suggestions for adding community health information or wellness tips, we would be happy to review them.